Visually analyze your Xero data. Create insightful reports and dashboards to track your key financial metrics. Collaborate and share reports with your colleagues. Track key financial metrics. Empower your business. 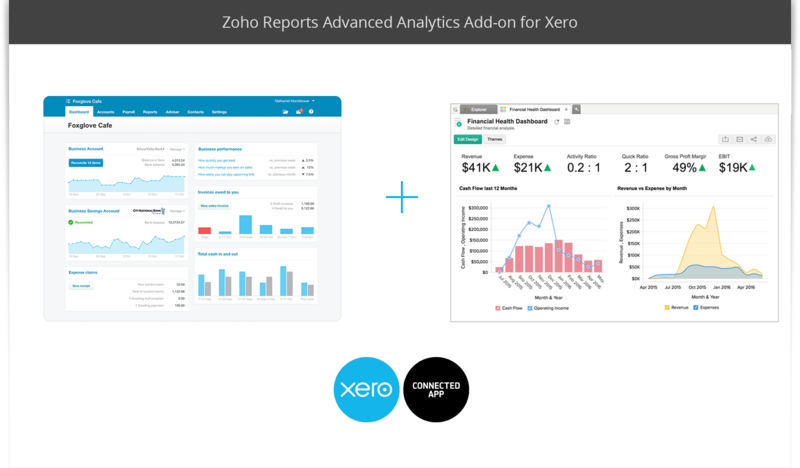 Zoho Reports lets you easily analyze the financial data from your Xero account. Slice and dice your Xero data the way you like, and create reports and dashboards to derive exactly the information you want. It helps you analyze your invoices, create P&L reports, track your overall accounting performance, and do much more. Your data from Xero is synced automatically to Zoho Analytics, giving you a full-fledged BI tool to analyze your data in depth. The Zoho Analytics add-on gives you access to more than 50 hand-picked, readymade reports and dashboards that you're sure to love and use on a daily, weekly, or monthly basis. Visually build and analyze insightful reports and dashboards with an easy drag-and-drop interface. No IT help or experience required. Use a wide variety of charts, pivot tables, KPI widgets, and tabular view components to create appealing reports and dashboards. Combine Xero data with information from other sources, like CRM or marketing, to create cross-functional reports. Get insights across all of your business processes. Develop & analyze reports together with your peers. Share with each other privately, or embed your reports and dashboards for wider consumption. Embed your reports and dashboards across websites, blogs, applications or intranets to reach a wider audience. Export or print reports for offline access. Schedule your reports and dashboards to be emailed automatically to the given recipients. 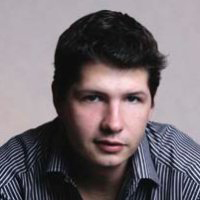 "We use Zoho Analytics to integrate all of our reporting needs. Everything goes to Zoho Analytics, that way everyone is able to access the most critical info about the company. They can not only access it but explore it, dive deep, ask questions. It's super fast, easy to use and cheaper." Xero is easy to use online accounting software that’s designed specifically for small businesses. It's all online, so you can work when and where you want to. Just login with your PC, Mac or mobile. Your bank statements are automatically imported and categorized, letting you see your cashflow in real-time. Invite your team and work together on financials. You can collaborate over your up-to-date numbers. Xero has all you need to run your business – including invoicing, paying bills, sales tax returns, reporting and much more. Find out more or try Xero for free.